Website personalization has been proven to improve conversion rates and direct bookings for hotel properties. Rather than having one broad message, personalization tactics allow you to segment site visitors by shared attributes and serve them with relevant messages or offers tailored to their needs. 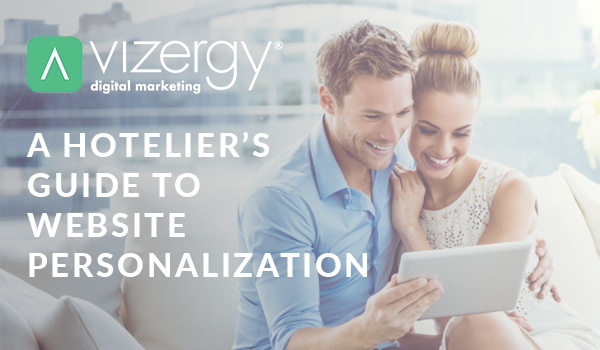 Vizergy has created a website personalization guide to help walk you through the process of organizing target audiences and unique personalization campaigns that best appeal to each set of visitors. Click Here to Download Your Copy Today! !